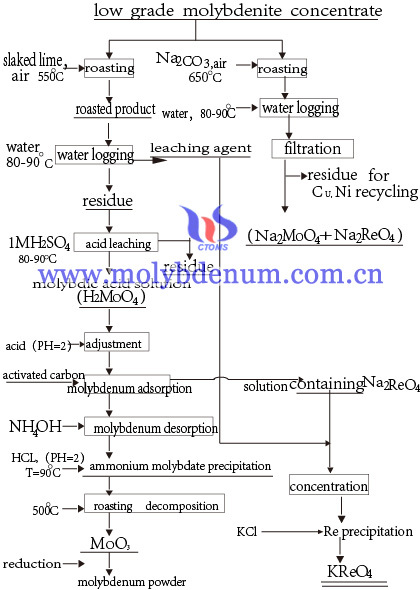 Molybdenum production processes include molybdenum powder and molybdenum products production process. Molybdenum finished products production processes will take molybdenum rod as example. Molybdenum rod main production method is powder metallurgy and its production processes are as follows: mixing powder (the lubricant or other elements mixed evenly with raw materials) - Mo powder isostatic pressing ( molybdenum powder to form compact with certain shape, size and strength ) - pre-sintered (compacted molybdenum billet strength and electrical conductivity all poor, to process pre-sintering can enhance its strength and conductive, which is good for high temperature sintering ) - sintering (powder compact in the appropriate temperature and atmosphere, the powder particles will bond to shrinkage and densification, so enhance the sintered body strength.) – subsequent machining - molybdenum rod.